From the civil rights movement in the 1960s, to electing the first African American president in 2008, African American senior citizens have been a part of many significant events offering increased opportunities. But, this senior population still faces many struggles like lower quality of life and health issues. 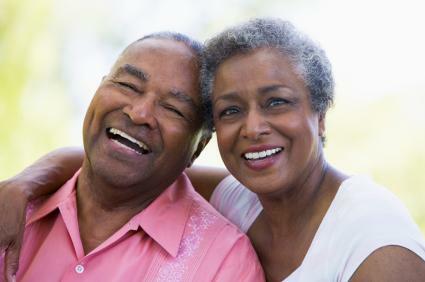 Therefore, it is important combat these problems through raising awareness of health risks associated with African American seniors or by educating seniors on their rights. Health costs: Many African American seniors simply cannot afford healthcare and out -of-pocket medical expenses. This creates more senior health problems, such as an increase in diabetes in this group. Housing costs: The high housing costs put many African American and other minority seniors at risk for losing their homes, or being sent to a nursing home. Lack of savings: Many people in this group do not have the savings in place or the financial resources to cover all of their expenses. Also, many African American seniors continue to live with a lower quality of life despite the awareness and implementation for equal rights. An especially alarming statistic is that African American seniors are more likely to be victims of senior abuse, including mental and emotional abuse, and are more likely to be taken advantage of financially. According to a recent study, senior bullying or abuse to this age group occurs starting around age 60. This includes stealing checks and swindling money from unknowing or confused seniors. Despite the increased level of problems that many African American seniors face, there is no difference between the issues this group faces and the issues facing senior citizens as a whole group, regardless of race. One of the best ways to combat the higher levels of senior problems among African Americans is to make sure seniors are aware of what their rights are. One way to bring awareness to African American seniors is to celebrate African American History Month. Every February, African American History Month is a culmination of events that pay tribute to African Americans of all ages. Discuss the history of this population of people as a whole, highlighting the changes in the last two centuries. As positive changes and increased levels of education are enjoyed by all groups of Americans, including African American seniors, this group can pave the way for a better life for all elderly people.